Specify your endpoint to which we will send optin and watching data. ENTERPRISE users now have the ability to specify and select a webhook endpoint integration. This is useful for storing and consequently triggering event in your systems without the middleman such as Zapier. 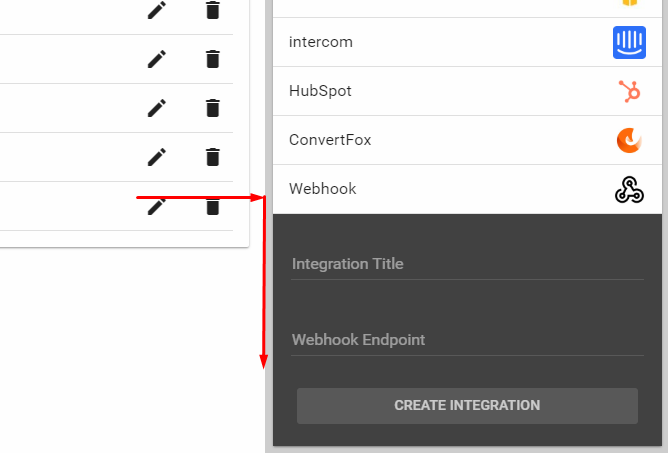 From Integrations > Supported Integrations, select Webhook and specify the endpoint. After that you may select the integration in the Email Gate or Personalization features.